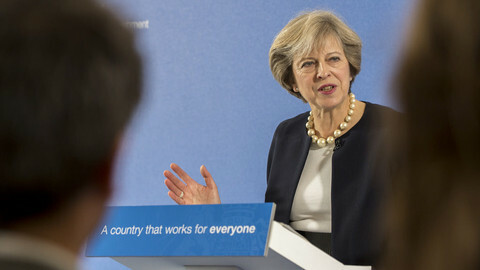 British prime minister Theresa May has pledged a hard Brexit in her Conservative party manifesto on Thursday (18 May), arguing that no deal is better than a bad deal for the UK. 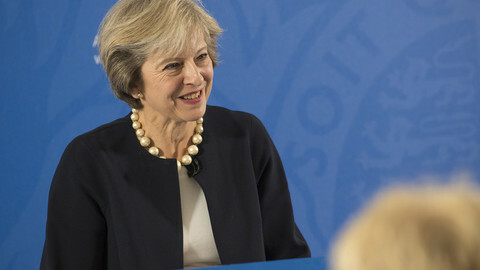 May outlined the UK's tough negotiating position ahead of the 8 June general elections, confirming that she wants to take Britain out of the single market and the customs union, and "reduce and control" EU migration. "We will leave the European Union and take control of our money, take control of our borders, take control of our laws," she told a crowd in the town of Halifax on Thursday. "Every vote for me and my team is a vote that will strengthen my hand in those Brexit negotiations," she added. 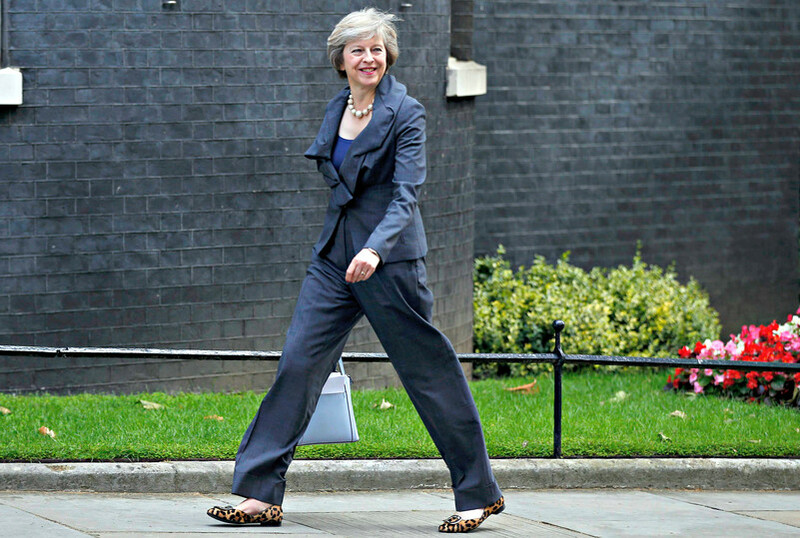 The manifesto, the second longest in the Conservatives' history, also restates May's disagreement with the negotiating schedule set out by Brussels, and says talks on the divorce and future trade should be completed in the two years provided by the Lisbon Treaty. However, May maintains that a no deal scenario is acceptable for the UK. 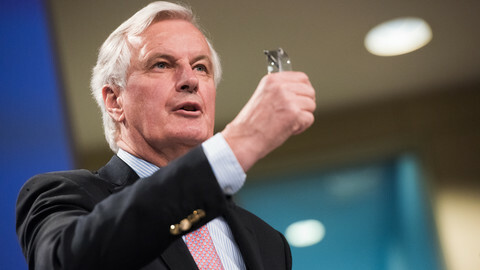 "The negotiations will undoubtedly be tough, and there will be give-and-take on both sides, but we continue to believe that no deal is better than a bad deal for the UK," the document says. On the key issues identified by the EU - safeguarding citizens' rights, avoiding a hard border between Northern Ireland and the Republic of Ireland, and settling the UK's financial obligations - the manifesto has not revealed much. The Tories pledge to "control immigration and secure the entitlements for EU nationals in Britain and British nationals in the EU". 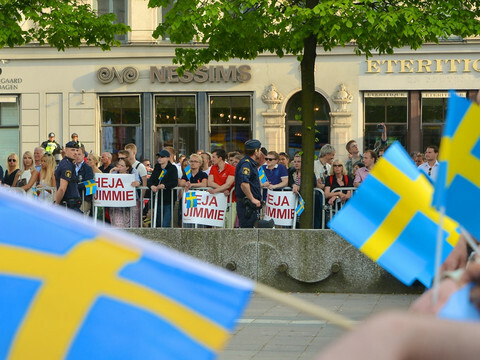 But that stays short of the EU's goal to secure the citizens' and their families' rights for a lifetime with the legal protection of the EU Court of Justice, the bloc's top court. The manifesto also says "we will determine a fair settlement of the UK’s rights and obligations as a departing member state", but it also says, the "days of Britain making vast annual contributions to the European Union will end." It does however state that it will be "reasonable" to contribute to the specific European programs that the UK wants to have access to, without naming those programs. The manifesto also promises to "maintain as frictionless a border as possible for people, goods and services between Northern Ireland and the Republic of Ireland. The document says the UK wants to enter negotiations in a "spirit of sincere co-operation", and that Britain wants to have a "deep and special" trading relationship with the EU, with few barriers to trade and investment. The final Brexit deal would be voted on in both houses of parliament, according to the document. The manifesto would give mandate for May to walk away from the Brexit negotiating table without a deal. It would also rally all her Tory MPs behind a hard Brexit after the elections on 8 June. 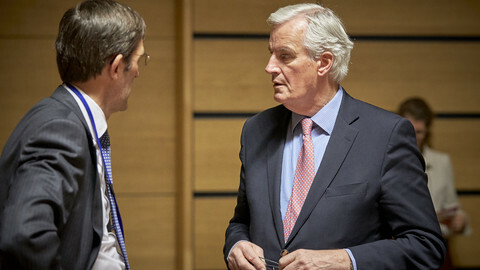 EU chief negotiator Michel Barnier on Wednesday said negotiations should start the day after the elections and warned again that no deal was a bad option. 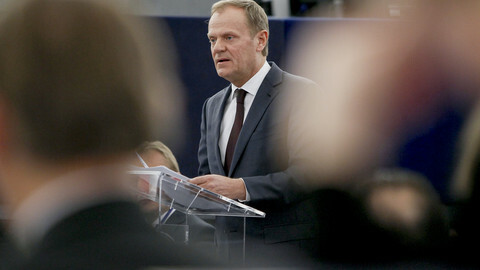 EU negotiator Michel Barnier urged negotiations to begin as soon as possible, while European Council chief Donald Tusk said the EU-27's red lines will be updated once talks can move on from the divorce to the future relationship. 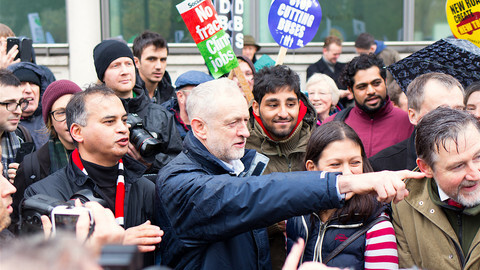 In Labour's programme for the June election, Jeremy Corbyn claims there will be no second EU referendum and promises a form of associate membership with the EU. For the moment, it’s as far as his party can go. EU negotiator to seek full citizens' rights for a lifetime and hefty UK fee, but also spoke of "entente cordiale" with Britain. Traditional party politics seems to be up in the air in Britain, with Brexit potentially having provided the sparks for an explosive realignment. A confident majority for Conservative prime minister Theresa May in Thursday's general election could help Brexit talks, but it will not spare the UK and the EU a hard Brexit.